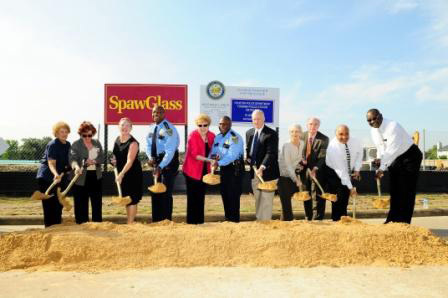 September 13, 2010 - Houston Chief of Police Chief Charles A. McClelland, Jr., along with Mayor Pro Tem Anne Clutterbuck and several local residents, today (Sept. 13) celebrated the groundbreaking of the Fondren Police Station. 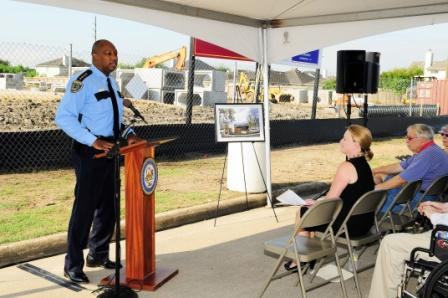 Chief McClelland expressed his belief that this station will strengthen the already strong ties HPD has with the Fondren community. But in order to be successful, the already established partnership between HPD and the community must continue, added the Chief. “Our officers are very committed to keeping Houston safe,” he said. “This facility should help us fulfill that mission. 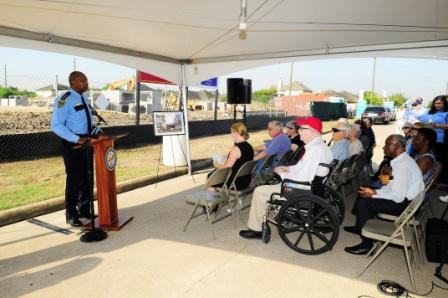 This station will be an anchor in the community, which is one of the tenets of community policing. We can’t do it alone and the community can’t do it alone, but together we make an unstoppable force,” Chief McClelland said. For Mayor Pro Tem and District C Councilmember Clutterbuck, the station represents the culmination of a campaign promise five years ago. “We worked very hard at targeting crime in this area and to bring it a proper police station,” she said. Because she also lives in the Fondren community, she added she knows how important this station will be. 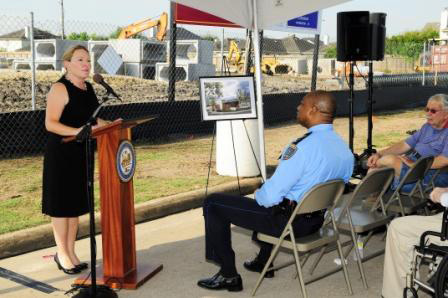 The station will house 176 officers and civilians assigned to Fondren patrol and offer the officers first class facilities. It will also house a community meeting room to continue fostering strong relations between HPD and the roughly 124,000 residents it serves.